This box was hand crafted from my original drawings. The dimensions of this box is 15-1/2 inches long x 9-1/2 inches deep x 5 inches tall. 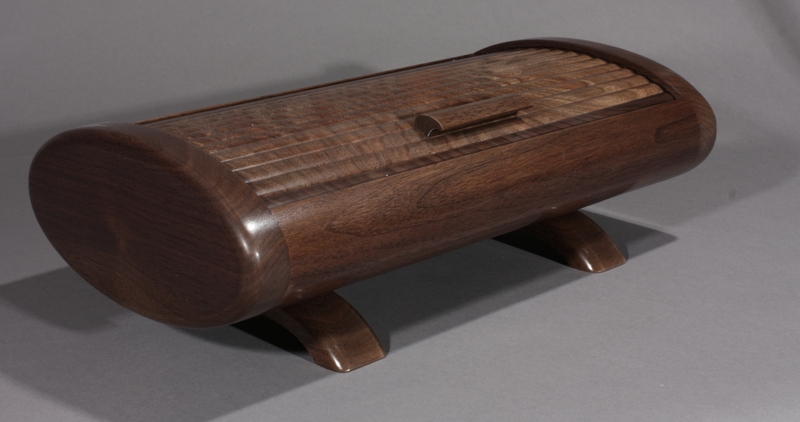 It has a wood bottom and includes a tray. It is signed and dated. The tambour has an interesting, hand selected figure pattern.